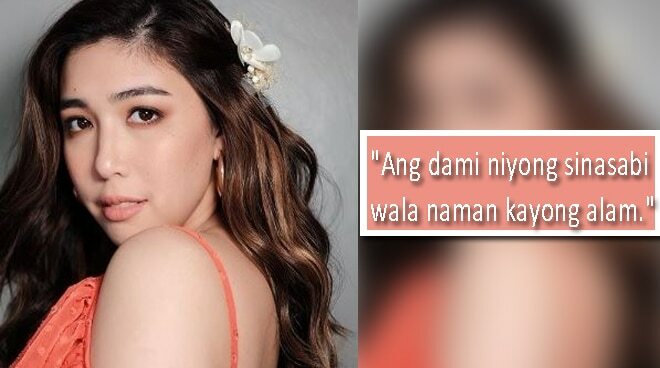 Dani Barretto took to social media to post a message for her bashers. On her Twitter page, Dani wrote, "ANG DAMING NIYONG SINASABI WALA NAMAN KAYONG ALAM. HECK, NI HINDI KO NGA KAYO KILALA EH. Ano to, comedy? Putulan na nga ng mga internet tong mga bashers na to. Wala naman kayo natutulong sa mundo [sic]." ANG DAMING NIYONG SINASABI WALA NAMAN KAYONG ALAM. HECK, NI HINDI KO NGA KAYO KILALA EH. Ano to, comedy? Putulan na nga ng mga internet tong mga bashers na to. Wala naman kayo natutulong sa mundo. The vlogger/online influencer also expressed her frustration about how social media has become so toxic nowadays. "Social media is great and all, but it also ruins your faith in humanity. I get that this is part of my job, and has been part of my life since forever. But what happend to being kind to one another? Why is everyone suddenly so involved with other people’s lives? It's so toxic," she said. Social media is great and all, but it also ruins your faith in humanity. I get that this is part of my job, and has been part of my life since forever. But what happend to being kind to one another? Why is everyone suddenly so involved with other people’s lives? Its so toxic. The tweets were posted following the posting of a new vlog on her channel wherein she talked about her plans for her upcoming wedding.